Atlanta is one of the busiest airports in the world and probably the busiest in the United States. Many passengers have transited through this airport and I am guessing that many would have more than a few hours to spare. I had probably half a day in the city for a layover until my mid afternoon flight out of Atlanta airport. 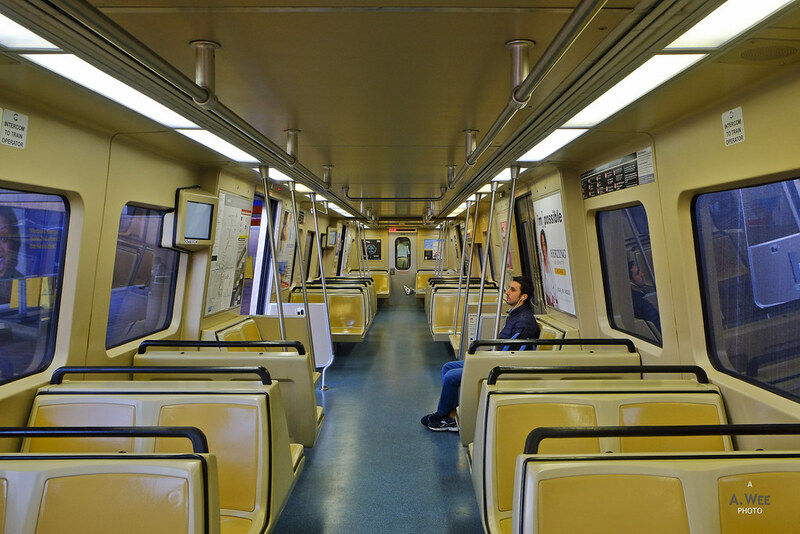 From my early arrival, I boarded the shuttle bus out of the International Airport terminal into the MARTA station which has scheduled trains into the city centre. Taking the train with a same-day return ticket is not that expensive and a round-trip ticket with the Breeze card costs me $6 with $1 being payment for the card itself. 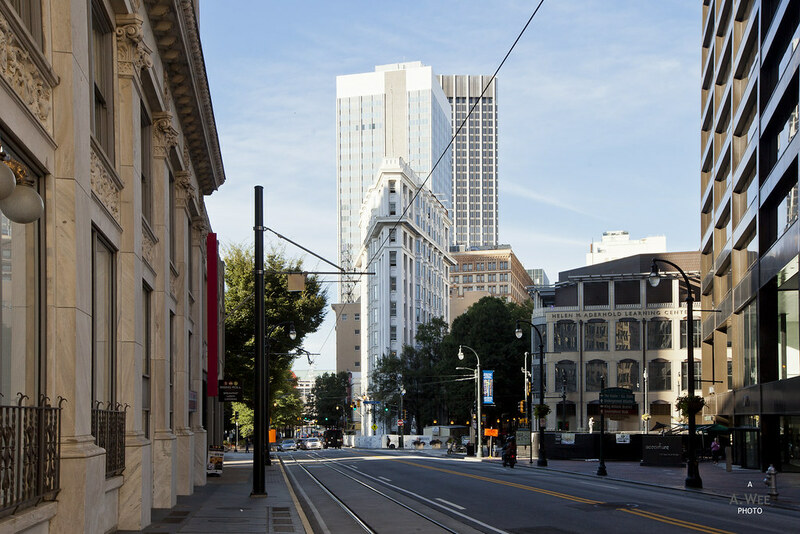 The ride to downtown from the airport is not too far either, probably taking somewhere around 30 minutes or so to get to the Peachtree Station which is also the heart of downtown. 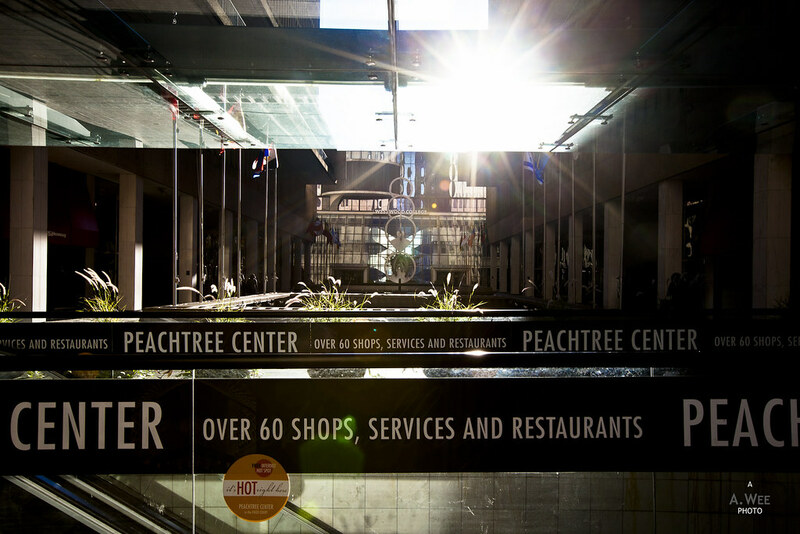 Right on top of Peachtree Station is a huge commercial centre with malls and hotels all around. 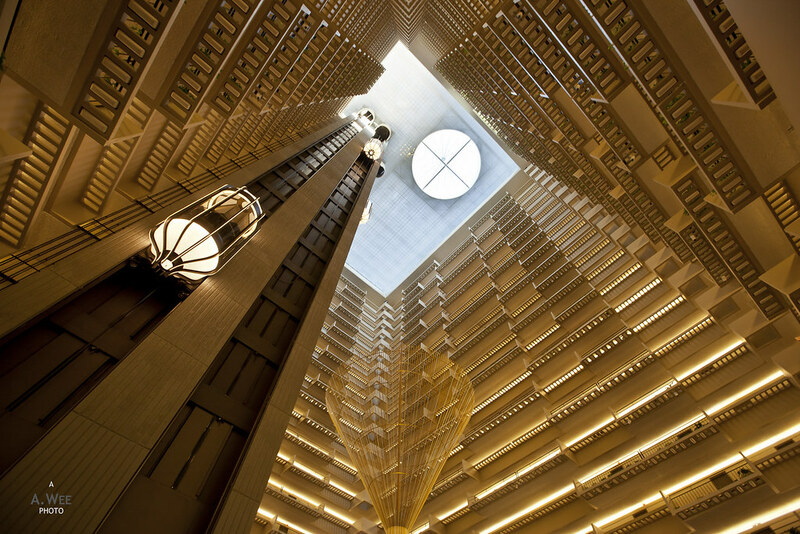 Large hotel chains are all represented here, and I was able to store my hand carried luggage with the bell desk at the Grand Hyatt Atlanta which also features a neat atrium lobby that is worth lounging in. From the Grand Hyatt, I just walked south towards Woodruff Park since it was early morning and not much shops are open yet. The streets are also quite empty in downtown. 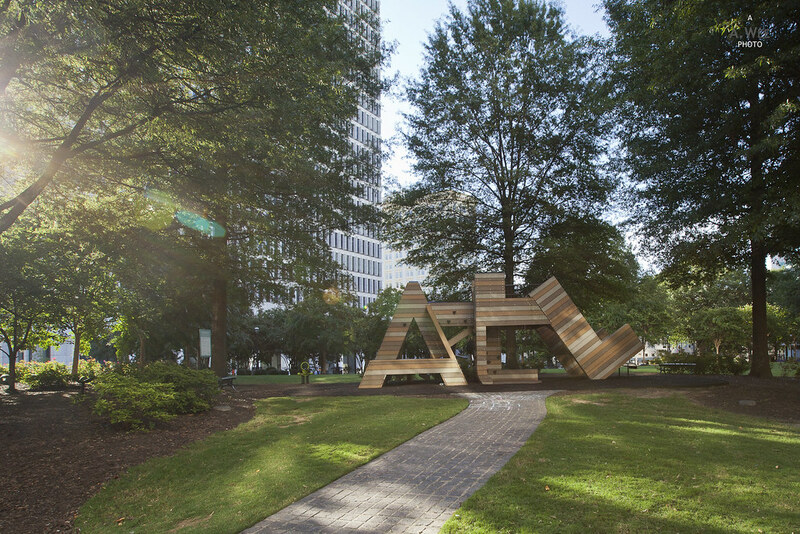 Woodruff Park is a pretty nice spot to hang out with a coffee during the day as it is a vantage spot to observe the surrounding traffic and admire the skyscrapers of Atlanta. 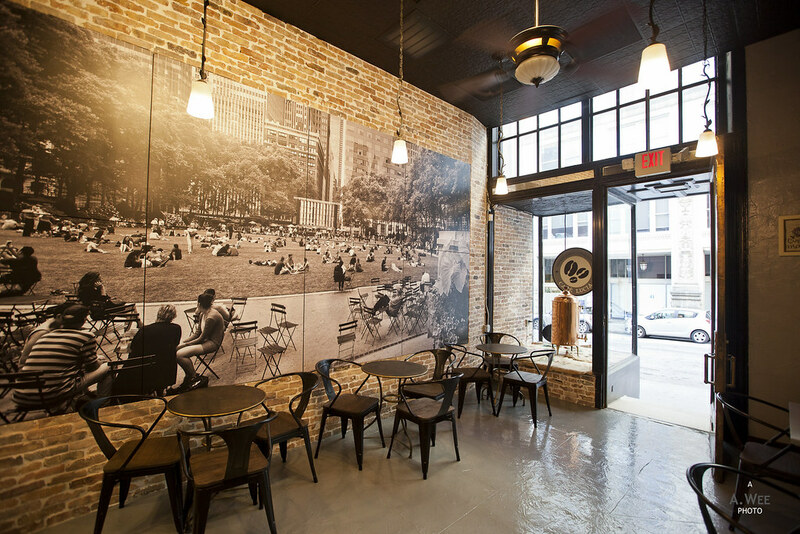 I restrained from getting a Starbucks from the shop opposite though, opting instead for a Dutch-brew coffee from one Cafe Lucia located around Walton and Forsyth Street and that perked me up enough to continue my walk on towards the CNN Headquarters. 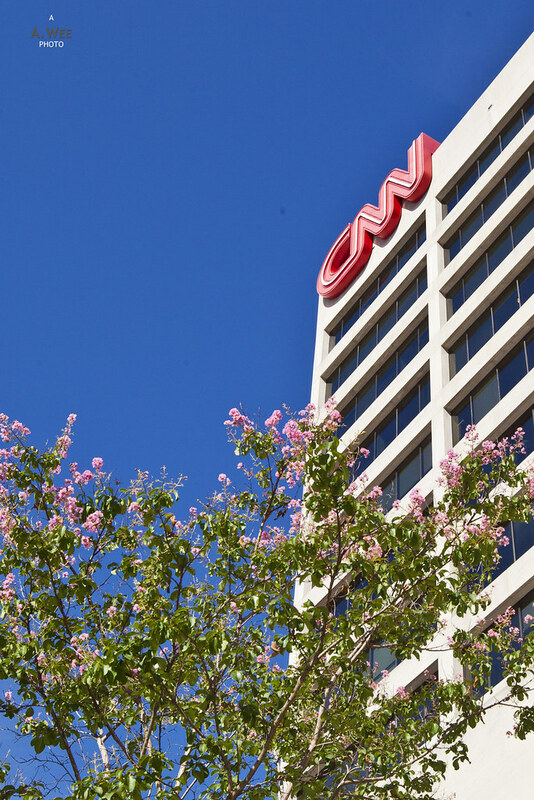 Atlanta is home to perhaps some of the most famous US corporations, and CNN is one of them. 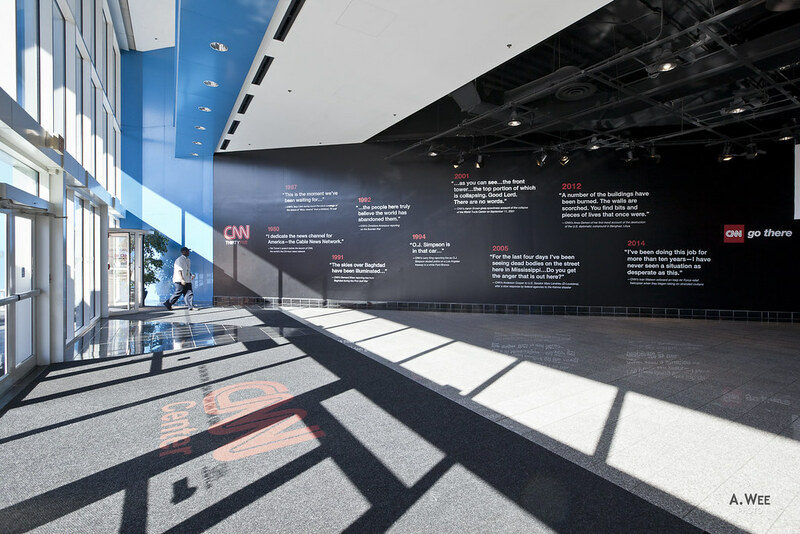 The large CNN complex is located just a block from Ted Turner Drive (even its founder gets a namesake street), opposite from the Centennial Olympic Park. 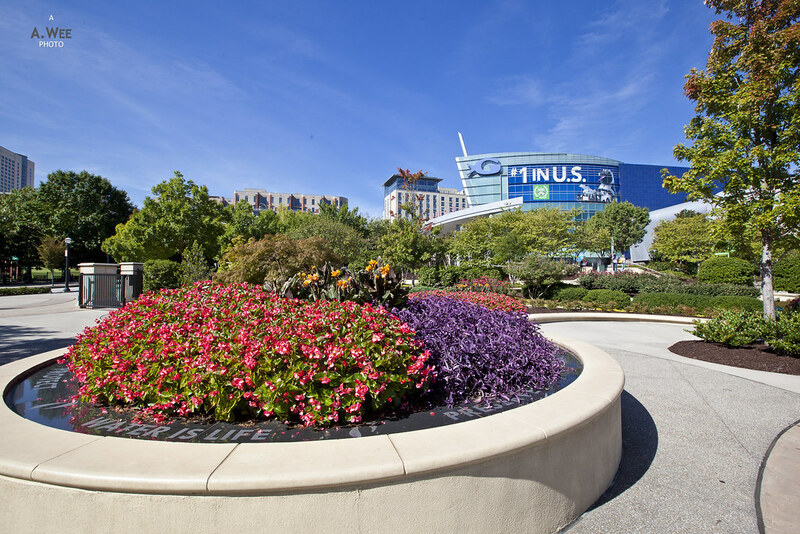 Inside visitors could pay for a studio tour, buy some memorabilia, or simply catch the morning headlines from the big screen at the main atrium. Nothing beats being closer to the action of the newsroom than that, unless you are a newscaster. 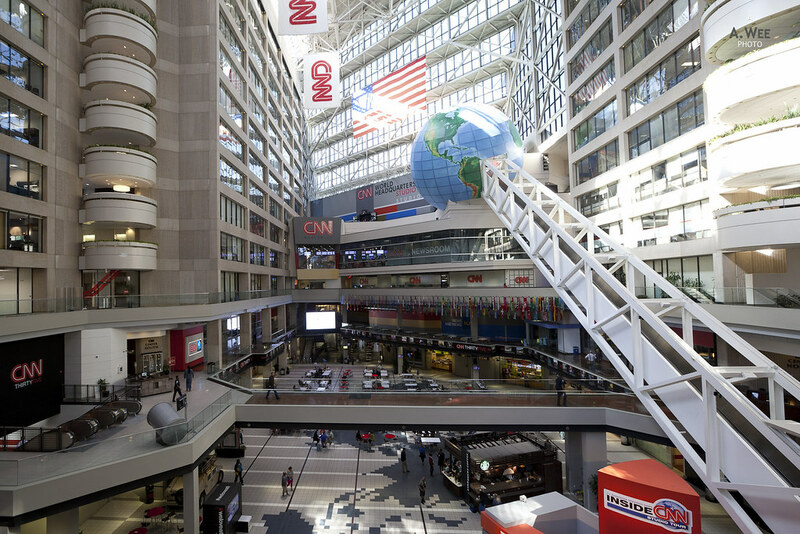 The huge CNN complex is also home to a hotel and is next to the Philips Arena, a sporting ground. There are indeed a lot of attractions for tourists on this part of town. 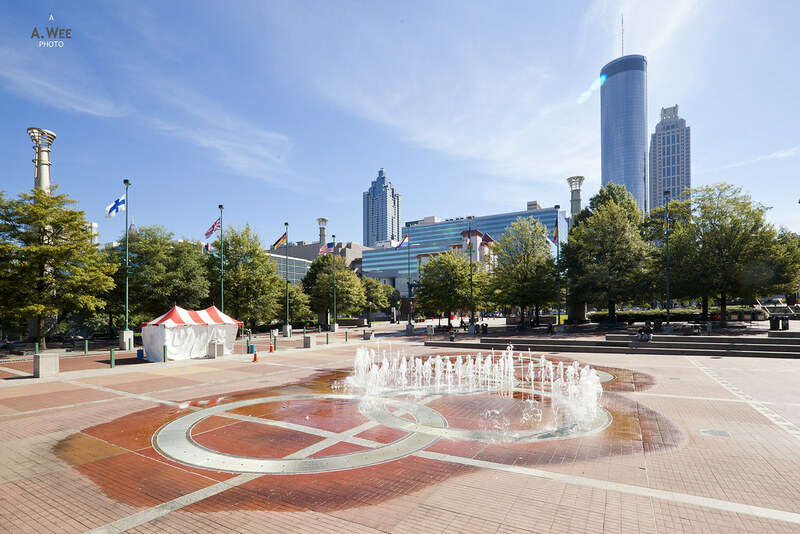 Another great attraction not to be missed is the Centennial Olympic Park which was from Atlanta hosting the Olympics in 1996. The park is now a venue to host picnics, outdoor concerts or just a family day out. Near the middle of the park, there is a water fountain in the shape of the five rings of the Olympics which would certainly be a hit during summer. Aside from providing a lot of green space and to commemorate the Olympics, the park is also a prime spot to take photos and get a nice view of the city skyline. From the Olympic Park, walking further north will lead visitors to Pemberton Place which looks like it is an extension of the Olympic Park. 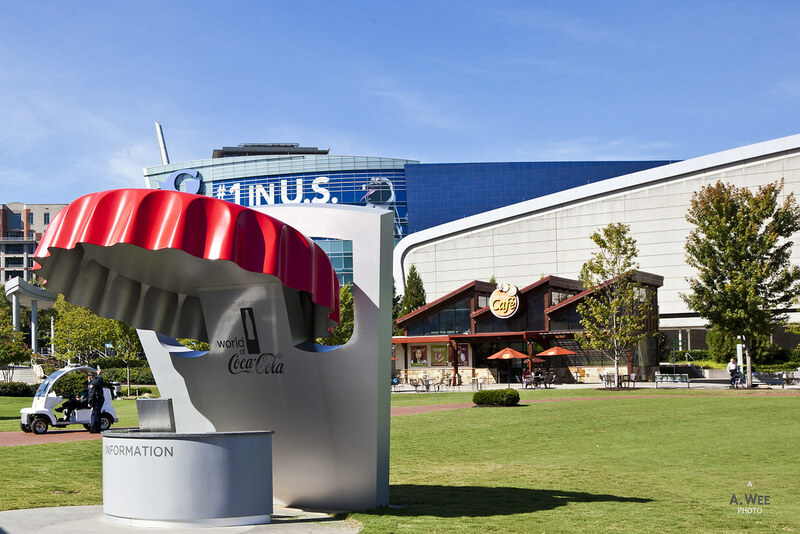 This area houses the Georgia Aquarium, the Center for Civil and Human Rights and the World of Coca-Cola, another US brand that has its headquarters in the city. Pemberton Place is also named for the founder of Coca-Cola. 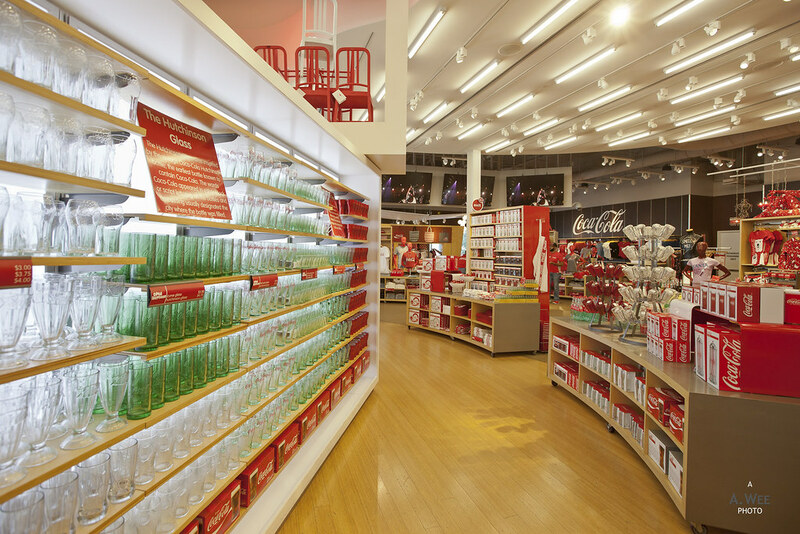 While there is a fee to enter the World of Coca-Cola, there is gift shop beside that visitors can drop by to get souvenirs and of course bottles of Coke itself. This is truly a place that all Coke fans around the world need to visit! Soon, it was time for lunch and my choice of venue was this Korean fusion cafe that I got to know from Yelp. 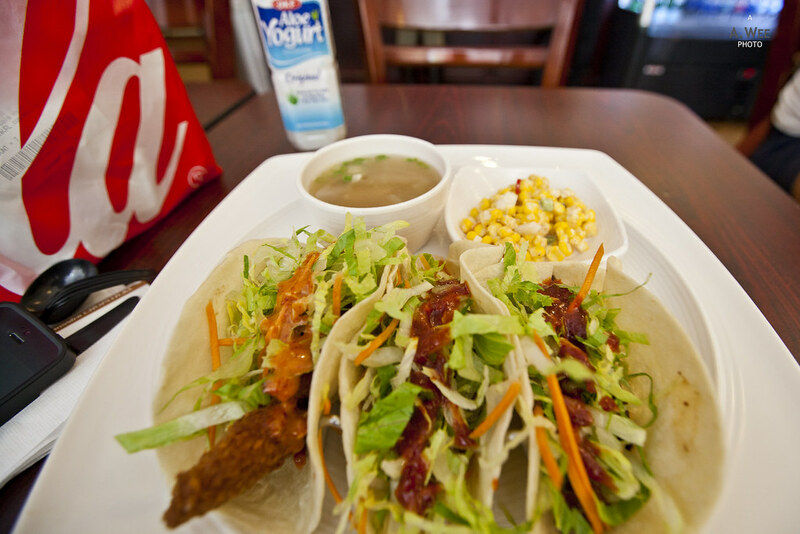 The name of this restaurant was Blossom Tree and unlike the usual Korean BBQ joint, this casual eatery sells Korean inspired tacos like Bulgogi tacos. I love tacos and Korean BBQ so a mix of them certainly sounds appetizing! And this place gets crowded for lunch so come early to get a spot or just take away and sit in the park opposite! While the tacos were good and I do recommend them, I am still quite fond of my favourite tacos place in Vancouver. Lunchtime kind of actually wrapped up my short visit to Atlanta and I believe I did get a nice introduction to this city which depicts the industrial heartland of America while showing a modern and progressive side!